Do horses eat meat? The quick and simple answer is no, they do not. But a one word answer doesn’t make a very interesting read, so let’s have a more in depth look at what horses eat and why. Do Horses Eat Meat In The Wild? In a carnivore’s stomach, the intestine is much shorter, allowing meat to be digested and excreted quickly, before it has a chance to rot. The insides of herbivores’ stomachs tend to stretch on and on, because plant matter takes a lot more time to digest and break down, thus releasing all the nutrients fully. Horse’s teeth are also not made for meet eating, being flat and designed for grinding, rather than sharp and pointed for tearing into flesh. 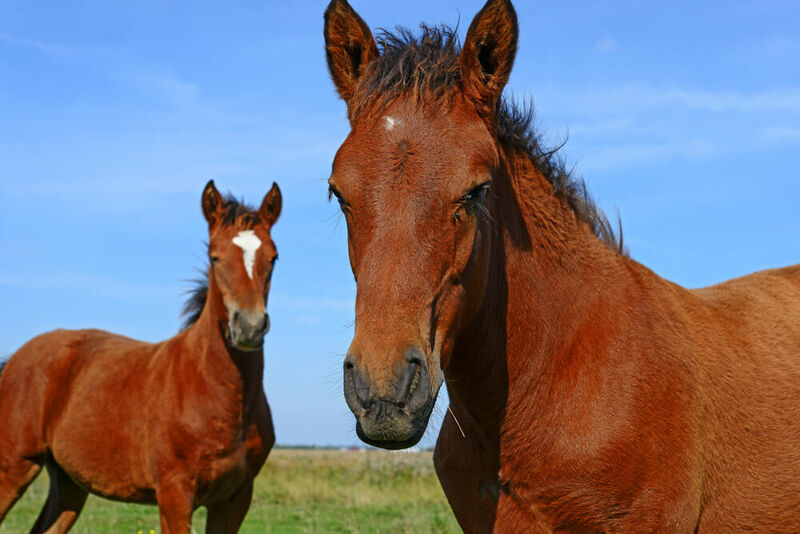 Horses cannot vomit, so if they had ingested a nasty bit of meat that needed regurgitating it would cause them all sort of problems, unlike carnivores who can quickly and easily get rid of a bit of food if it is causing problems. Horses also do not have the sort of liver that is designed for removing the toxins associated with some meats. Aren’t There Really Any Exceptions? But why then, if horses are such strict vegetarians, will your horse sometimes try to sneak a bite of your burger if you’re eating next to him? Why do you occasionally hear stories of horses killing small animals who venture into their pastures? And why, in some countries, are horses fed fish or animal products and manage to survive? The first point: stealing your food. 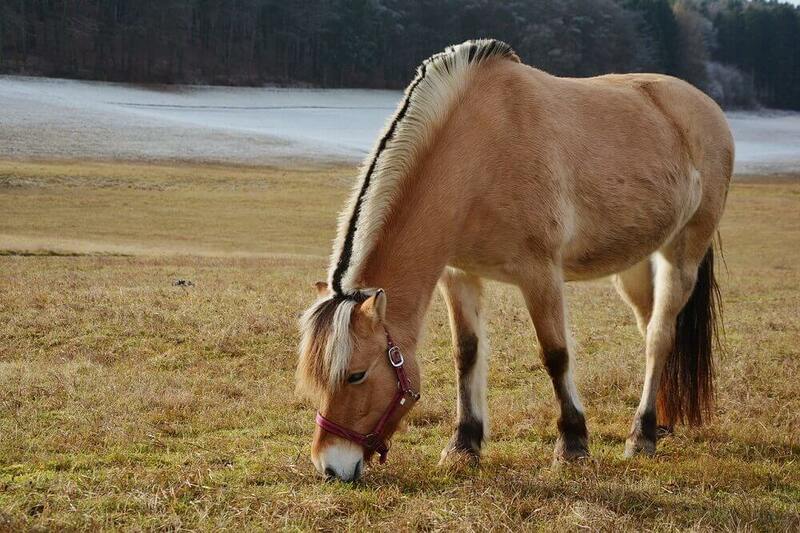 Your horse is your friend, there’s no doubt about that. And like some friends, they are curious and want to try what you’re eating – after all, you look like you’re enjoying it so why shouldn’t they? A cheeky nip of a burger while you’re out at a show shouldn’t do too much harm, but remember that horses have very sensitive digestive systems so you shouldn’t make this a regular thing. Horses have been known to take out rabbits, rats and other small creatures who roam around their fields, but they are not doing this for food, as a carnivore would. Horses are herd creatures who will protect themselves and their friends using whatever means they have – hooves and teeth – and sometimes this means the death of the unwary animal who has strayed into the field. You are very unlikely to see the horse feasting on the carcass afterwards though. In Iceland, horses are fed salted fish during the cold winter months, to give them extra protein and fat and keep them healthy. During Scott’s expedition to the Antarctic, the ponies who carried the packs and pulled the sleds were fed fish meal with their rations, for the same reason – in such inhospitable environments, it is hard to forage or carry enough fodder to keep horses healthy, so alternatives must be found. In the case of the salted fish-eaters, it may well be the salt that the horses like, rather than the fish itself. Tibetan horses are fed a mixture of blood and grain, again because the climate is harsh and finding enough food, specifically protein, can be very hard. These horses do continue to thrive on this diet, but it is not the eating of meat, as such – mainly fish, and blood is not actually flesh, so it can impart goodness without some of the associated digestive issues. Do horses eat meat? Some have been known to. But should they? Definitely not. Horses may eat meat if it tastes good; much of the meat we consume is loaded with salt and sometimes sugar, which may make it more palatable to them. You may also find a horse who is often hand fed is more willing to take food from your hand, because he expects it to be a treat or something he’s used to, but he probably wouldn’t spit something out just because it was meat. Horses that do eat meat will never seek it out and choose to eat it (apart from that swipe at your ham sandwich, of course). Meat products that are fed to horses are usually well disguised – for example, products designed to strengthen hooves can include gelatin and bone meal, and the fish products are so loaded with salt that it could be argued that this is what the horse is seeking. Horses can and sometimes do eat meat, but they really shouldn’t. Despite ancient myths telling of “man eating horses”, their systems are just not set up for carnivorous behaviour, and excessive consumption of meat can cause them real problems. Stick to grass, hay and decent bucket food to keep your horse in tip top health.